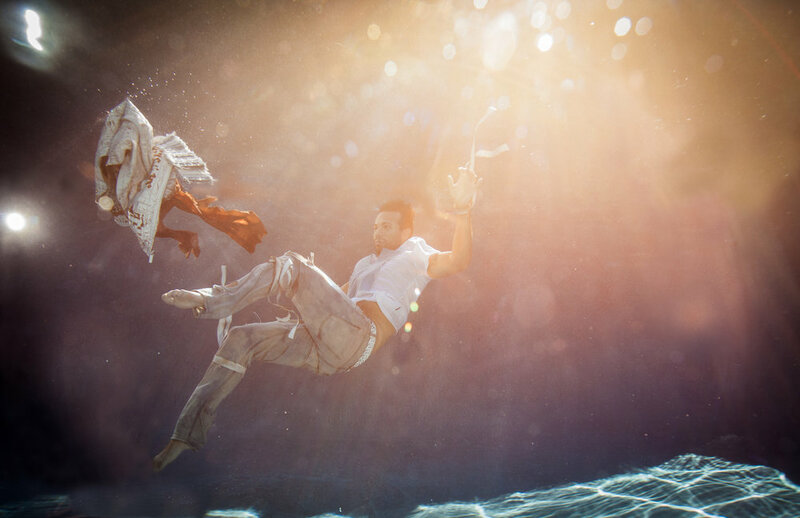 Creative collaborations are one of my most favorite projects to work on as an underwater portrait artist! I love the team aspect involved from wardrobe to hair and make up to story telling. 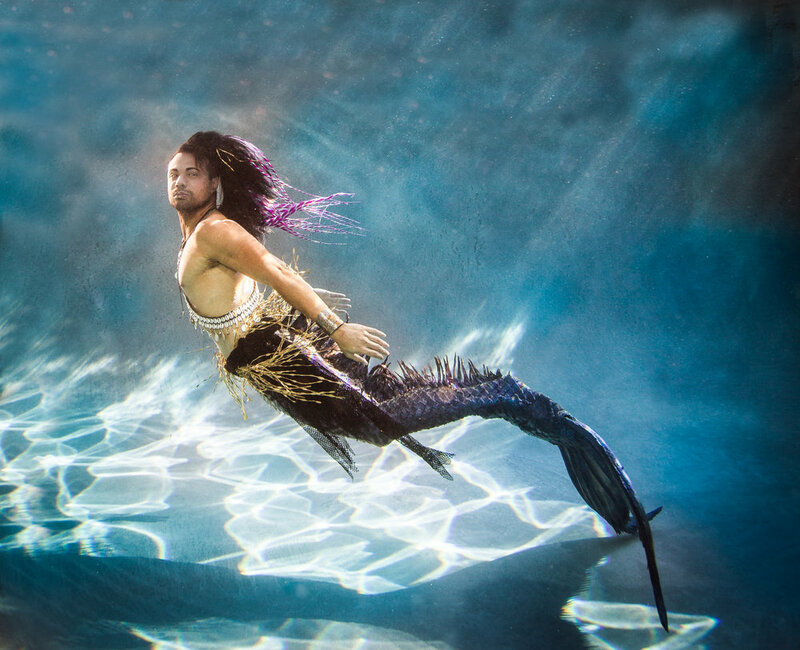 When colleague, Michi, called me up from Austin, Texas and asked if I would co-create an underwater story with her and her team while they were in Los Angeles on business, I was thrilled! We put together an incredible shoot with some of the most talented people in the business! The story line tells the tale of a siren-ess mermaid with a lethal kiss that leaves a regular man bound to the water forever. Team credits: Hair Artistry and Story Design by Michi Lafary. Original Wardrobe and Styling by Danni Ordonez. Make Up by Sarah Contey and Miles George. Mermaid beautifully rendered by Mermaid Ginger and Man-Turned-Merman executed flawlessly by Merman Jax. So much gratitude for this team of creatives!